In order to retain our stature and relevance to our clients, we strive to provide the very best rubble removal in Pretoria Northwest at affordable costs. With the experience gathered from the many years we have been in the business, our site clearance & rubble removal team understand the importance of being a force to reckon with in the industry and we always do our best to deliver whenever our clients need us to. To meet all their site clearance and demolition work needs, we have put together a team of highly motivated professionals and equipped them with the latest rubble removal tools to increase their efficiency. Our technicians cover the whole of Pretoria North West and are up for residential, commercial and industrial waste removal services. 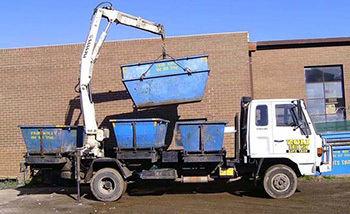 This means that we can handle practically anything – from skip bin hire to commercial and residential garden refuse removal. Combining our wide service catalog with the fact that all our technicians are trained in the art and insured gives you a totally professional company that will handle all your needs in a smooth and efficient way. Get in touch today on 012 004 1846 and get your free quote!